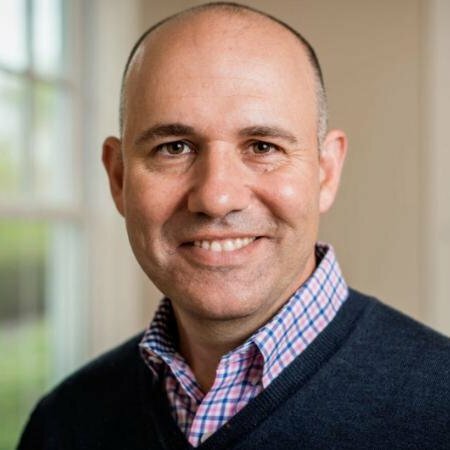 Andy Molinsky, author of Global Dexterity: How to Adapt Your Behavior Across Cultures without Losing Yourself in the Process, Brandeis International Business School Professor and Harvard Business Review writer joins me on this episode of Accelerate! Andy M. says the biggest single challenge salespeople face today is stepping outside of their comfort zone. We all have modes, or shades of ourselves, depending on the audience we are addressing. Sometimes we use modes that are not authentic to ourselves. Reach discusses comfort zones. Most people have personal and professional growth objectives, the accomplishment of which takes us out of our comfort zones. Some try to avoid these challenges. If you have been good at the same job for a number of years, are you stretching? Are you settling for competence or are you striving for excellence? Is being ‘good’ enough? It’s very important to know yourself. Are you happy? In any enterprise, there is a distribution of performance from insufficient to excellent. Could everyone be an ‘alpha’? If everyone were an ‘alpha,’ who would follow? Is your self-worth based on comparison to others or is it an internal gauge and experience? Reach covers ‘necessary evils’ from Andy M.’s doctoral research into causing pain in the service of a greater good. This includes layoffs, evictions, doctors delivering bad news, etc. Andy M. explains comfort in that context. Andy M. discusses three fear challenges of stepping outside the comfort zone. 1. Authenticity. 2. Likeability 3. Competence. Read more challenges in the book. Andy P. set a success bar when he started public speaking. Success includes failure. Failure is data for improvement.